CLICK HERE to listen live as the Atlee Raiders play for their first Henrico Holiday Hoops boys basketball championship Friday night at 7:15 against the host Warriors, exclusively on RVA Sports Network! The following is from a release sent by Randolph-Macon College. 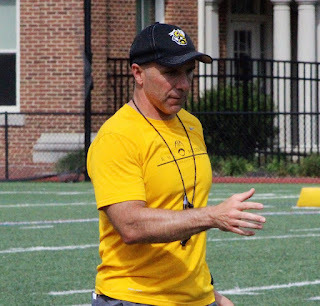 After leading Randolph-Macon to its 11th ODAC title and its first NCAA Championship victory, Pedro Arruza was named Coach of the Year in the state of Virginia by the Virginia Sports Information Directors (VaSID). The Yellow Jackets had eight players earn All-State First Team honors: senior offensive lineman Greg Castle(Kenley, N.C./North Johnston), senior running back Tre Frederick (Angier, N.C./West Johnston), senior linebacker Yonis Blanco (Silver Spring, Md./Montgomery Blair), junior tight end Sam Tanner (Mechanicsville, Va./Lee-Davis), junior offensive lineman Jake Wernle (Purcellville, Va./Woodgrove), junior defensive lineman Steve McNair (Elkridge, Md./Howard), junior safety Anthony Williams (Ashburn, Va./Woodgrove) and sophomore kicker Chris Vidal (Wake, N.C./Wake Forest). Senior wide receiver Eric Hoy (Clayton, N.C./Clayton) was voted to the All-State Second Team. Castle was All-ODAC First Team, All-South Region First Team and All-America Third Team. Frederick was All-South Region Second Team and All-ODAC Second Team. Tanner and Wernle were All-ODAC First Team and All-South Region Third Team. Blanco, Hoy, McNair, Williams and Vidal were All-ODAC First Team. Arruza, in his fifteenth season at R-MC, led the Yellow Jackets to an 8-2 regular-season mark and 6-1 record in ODAC play. R-MC won its eleventh ODAC title, tying Emory & Henry for the most championships in the history of the conference. The Yellow Jackets earned the league's automatic bid to the NCAA Championship and received a trip to No 8 John Carroll. R-MC won its first NCAA playoff game in program history with a 23-20 victory over the Blue Streaks. The Yellow Jackets would have their season end at No. 23 Muhlenberg in the second round of the NCAA Championship. R-MC finished No. 18 in the final D3football.com Top 25. Click HERE to listen live as Atlee head coach Matt Gray joins us live on "In The Red Zone" at SportsPage Grille Ashland Monday night from 6 to 7pm on 102.9 The Mater! Listen on the radio on 102.9 FM, 1430 AM, or at the link above, plus you can listen on the TuneIn Radio App on "Radiall" ! 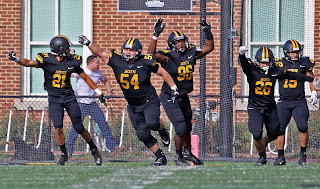 We are live in Allentown, Pennsylvania Saturday as ODAC Champion Randolph-Macon looks for their first-ever ten-win season and their second straight NCAA Division III Championship victory in Second Round action at Scotty Wood Stadium against Muhlenberg College of the Centennial Conference! If you're making the trip to watch the Yellow Jackets live, tickets are sold at the gate for $10. 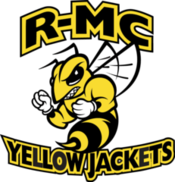 Our LIVE coverage with The Voice of The Yellow Jackets Marty Wilson and Rob Witham begins at 11:30am exclusively on radio on 102.9 The Mater (102.9 FM, 1430 AM), online at the link below, and is available on the TuneIn Radio app on "Radiall"! CLICK HERE to listen live to Randolph-Macon online! NOTE: There is also a watch/listen party at SportsPage Grille in Ashland, so for the best seats, be there by 11:30am! Join us at 6pm at SportsPage Grille for the best in live, local sports talk only on 102.9 FM The Mater! CLICK HERE to listen live online, or better yet, come out and join us live! 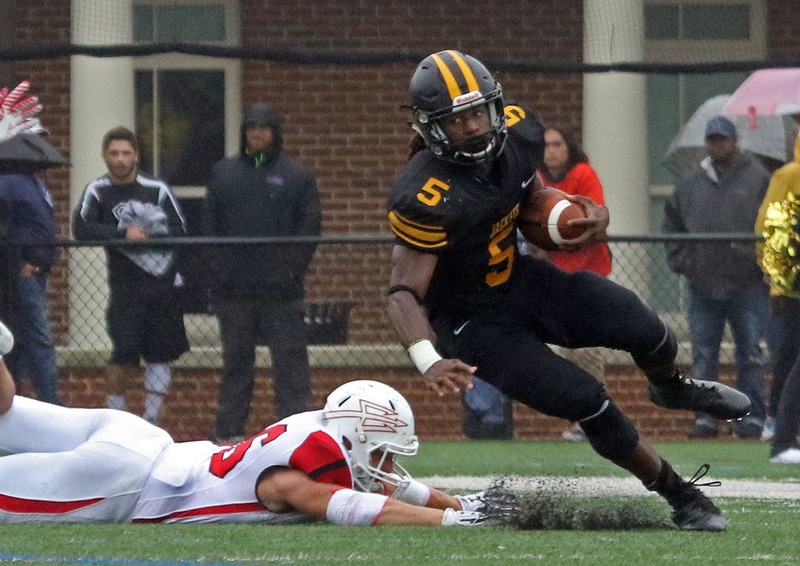 We'll relive the historic Randolph-Macon Football NCAA First Round win Saturday at John Carroll! Don't miss "In The Red Zone" tonight on The Mater! We are live near Cleveland, Ohio on Saturday as ODAC Champion Randolph-Macon looks for their first-ever NCAA Tournament victory at Don Shula Stadium against Ohio Athletic Conference runner-up John Carroll! LIVE coverage begins at 11:30am with The Pregame Show Featuring The Last Word Before Kickoff with Head Coach Pedro Arruza only on 102.9 FM The Mater, 1430 AM, and on the TuneIn Radio app on "Radiall"! CLICK HERE to listen live online! The Yellow Jackets, by virtue of their 48-35 win over Hampden-Sydney Saturday, win the 2018 Old Dominion Athletic Conference Championship and, with that, a trip to the NCAA Division III Football Championship. 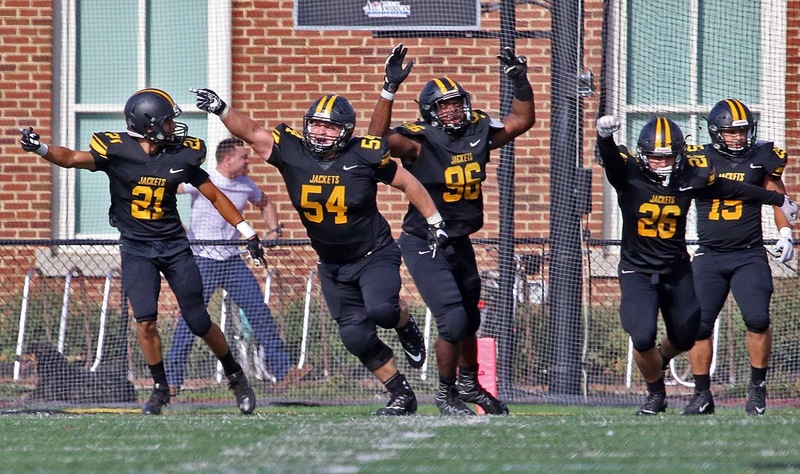 Randolph-Macon will travel to University Heights, Ohio to face John Carroll University (9-1) on Saturday beginning at 12pm. LISTEN LIVE: Head Coach Pedro Arruza joins Rob Witham live Monday night "In The Red Zone" from SportsPage Grille in Ashland! Hear our conversation about "The Game", the ODAC Championship, the senior class and the upcoming NCAA first round game. "In The Red Zone" airs from 6-7pm only on 102.9 FM The Mater, 1430 AM, CLICK HERE to listen live online or use the TuneIn Radio App to listen on "Radiall"! CLICK HERE to listen live! Also available on 102.9 FM The Mater and 1430 AM, and on the TuneIn Radio App on "Radiall"! 4PM: "60 Years Of The Tomato Bowl": Rob Witham hosts this retrospective featuring an exclusive sit down interview with former Lee-Davis head coach Mac McConnell and former Patrick Henry head coach Ray Long, who faced each other twenty times in the Tomato Bowl's storied history. 4:30PM: "On The Sidelines Pregame Presented By Virginia Farm Bureau Insurance": Rob and Marc Davis of NBC12 talk Week 11 football and get you ready for kickoff! FOOTBALL: Atlee defeats Hanover 27-7 to win the County Championship, finish 7-3, and will be either the #4 or #5 seed in Region 5B depending on the result of Saturday's game between Highland Springs and Varina. 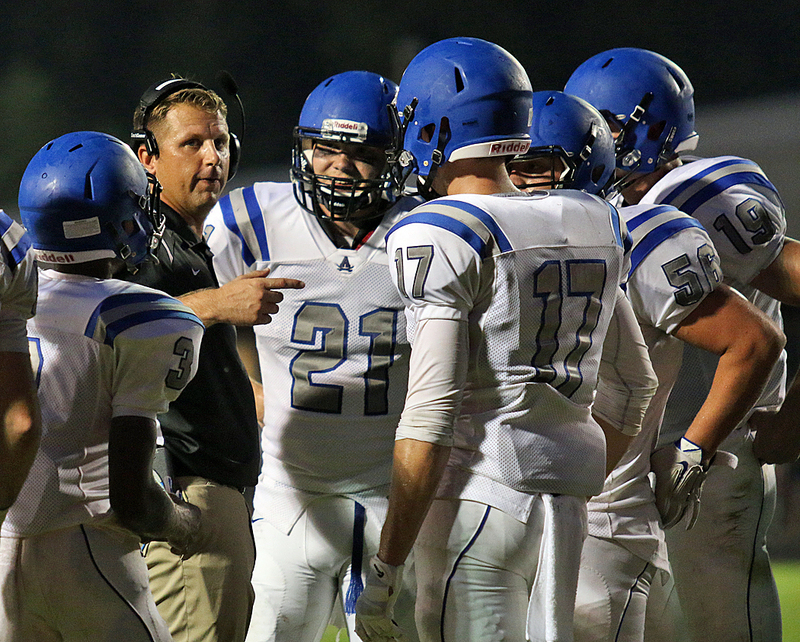 A Highland Springs win gives Atlee the #4 seed and a home first round playoff game against Glen Allen. A Varina win places the Blue Devils at #4, the Raiders at #5, and Atlee would return to Varina in round one. VOLLEYBALL: Patrick Henry boys and Atlee girls both clinch state tournament bids on Thursday night, the Patriots sweeping Midlothian in the Class 4, Western Section semifinals, while Atlee defeated Matoaca in four sets in the Region 5B Semifinals. Hanover's girls defeated Monacan in a Region 4B Quarterfinal and will host #5 Patrick Henry Monday. 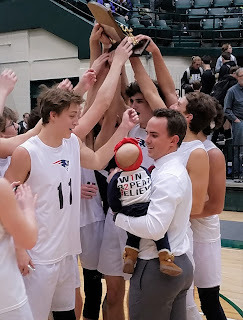 The Patriots won at #4 King George in four sets. CROSS COUNTRY: Rachel Mudd of Atlee won the Region 5B Girls Individual Championship as the Raiders nipped Deep Run for the team title. Tonight live at SportsPage Grille Ashland, Rob Witham is joined by Hanover girls basketball/softball coach Michael Rohr, and has the latest on Randolph-Macon and high school fall sports, from football to field hockey! CLICK HERE to listen live or get to 102.9 FM on your radio or on the NextRadio app for Android users! 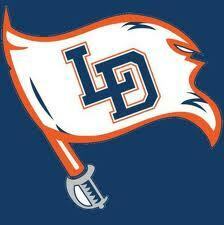 Congratulations to the newest inductees into the Lee-Davis High School Athletic Hall of Fame! The following is a release from the Hall of Fame Committee. The Lee-Davis High School Athletic Hall of Fame Committee, Mechanicsville, VA, is pleased to announce our inductees for the Class of 2019 Lee-Davis High School Athletic Hall of Fame. These five athletes were elected from the substantial universe of outstanding athletes who have competed with excellence since the school’s establishment in 1959. The Class of 2019 is composed of five former student athletes with accomplishments including district, region, metro, state distinctions, and beyond. The inductees are Avi Hopkins (Football, Track and Field, Wrestling, Baseball, Class of 1994), Robbie Chenault (Football, Basketball, Baseball, Class of 1996), Carroll Gathright (Football, Track and Field, Baseball, Class of 1965), Pepper Wilson (Volleyball, Basketball, Softball, Class of 2003), Judy Williams (Cross Country, Track and Field, Basketball, Class of 1980). The Class of 2019 will be recognized during halftime of the Henrico vs. Lee Davis football game on October 26, 2018. A banquet is scheduled for Friday, January 25, 2019, at Lee-Davis High School. For ticket information on the banquet, email the LDHS Athletic Hall of Fame Committee at LDHSathleticHOF@yahoo.com. You can check out the Lee-Davis High School Athletic Hall of Fame Facebook page as well for more information about the banquet. GAME OF THE WEEK: #6 Henrico (3-1) at #10 Atlee (5-0), 6:30pm on 102.9 FM The Mater, 1430 AM, online by CLICKING HERE, and on TuneIn radio app on "Radiall"! Live tonight, 6-7pm at SportsPage Grille in Ashland. Rob Witham welcomes the first men's head volleyball coach in Randolph-Macon history, Jared Horrigan! CLICK HERE to listen online, join us on radio in the RVA at 102.9 FM, The Mater! Mother Nature, specifically, the remnants of Hurricane Florence, cause Monday Night Field Hockey to be postponed. Here's #TheLineUp for tonight's college and high school football action, how to listen, and follow on Twitter! Airtime is 6:30pm on 102.9 FM The Mater, 1430 AM, on @TuneIn Radio App on "Radiall"
NOTE: Patrick Henry (1-1) at Deep Run (0-2) is currently scheduled for Monday, September 17 at 6pm. 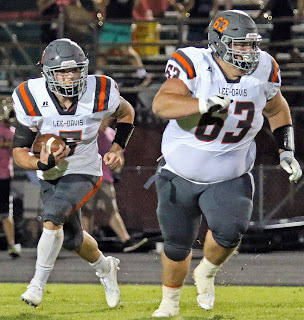 With the threat of Hurricane Florence looming in Virginia and the Southeast, our High School Football Game of The Week, Glen Allen at Lee-Davis, has been pushed up 48 hours to Wednesday. Listen live beginning at 6:30pm on 102.9 FM The Mater, 1430 AM, online by CLICKING HERE or listen on the TuneIn Radio app on "Radiall". WHERE: Day Field, Ashland, Va.
RADIO: 102.9 FM The Mater, 1430 AM, 5:40pm airtime. MOBILE: TuneIn App on "Radiall"
NOTES: Yellow Jackets have defeated Averett in every meeting in the series. Cougars defeated Hampden-Sydney 33-14 in their season opener last weekend. The Yellow Jackets scored 24 first half points last Thursday before being held to seven in the second half in their loss at #19 Johns Hopkins. A wild night fans as weather played a huge role in games, delaying them by lightning, with some locations not receiving a drop of rain. GAME OF THE WEEK: Glen Allen (1-1) at Lee-Davis (1-1), 6:30pm airtime, 102.9 FM The Mater, 1430 AM, live online here at our website! Game of The Week: Atlee at Mills Godwin, 7pm immediately following Collegiate/Trinity Episcopal on 102.9 The Mater (102.9 FM/1430 AM), online here. Special start time for On The Sidelines Pregame Presented By Virginia Farm Bureau Insurance at 4pm. 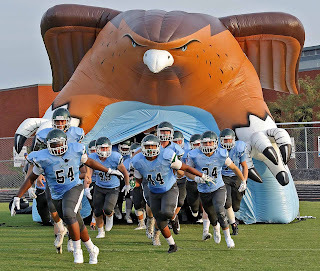 CLICK HERE to listen live to the "Game Of The Week", Caroline at Patrick Henry, airtime 6:30pm with the "On The Sidelines Pregame Presented By Virginia Farm Bureau Insurance" with Rob Witham and NBC12 Sports Director Marc Davis updating the Friday action! Kickoff is set for 7pm. 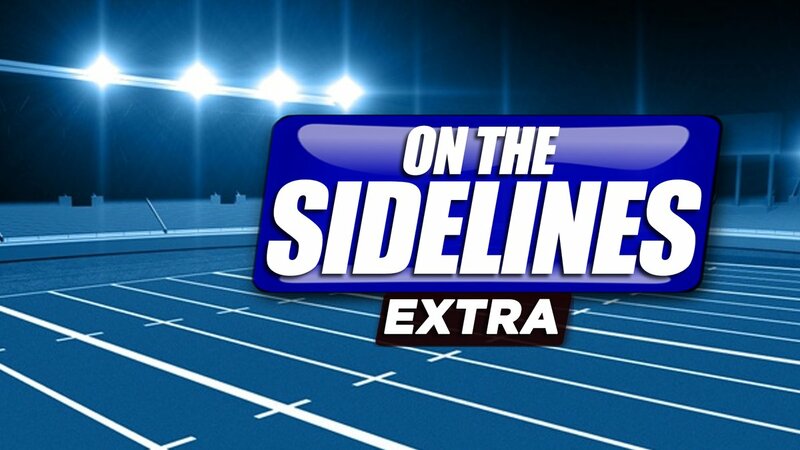 REMINDER: Get your high school football highlights tonight with NBC12 "On The Sidelines" with Marc Davis at 11:15pm, then, at 11:35pm, switch over to the NBC12 Facebook Page for "On The Sidelines Extra" as Marc and Rob analyze Week 2 action, preview Week 3, and we take your questions live on Facebook! We have several Yellow Jacket teams in action today. See the links below the follow the action. Men's Soccer vs Baruch, 1:00 PM, Washington, D.C.
Women's Volleyball vs Alverno, 3:00 PM, Virginia Beach, Va.
Women's Volleyball vs Widener, 7:00 PM, Virginia Beach, Va.
Our 17th season of high school football hits the airwaves and online Friday night as the Hanover Hawks begin their campaign in Chesterfield against the fifth-ranked Monacan Chiefs, looking to avenge a season-opening loss a year ago. AFTER THE GAME: Listen to the RVA Sports Network Scoreboard Show immediately following the game on 102.9 FM or at the link above for the latest scores, winning coach's interview and more! 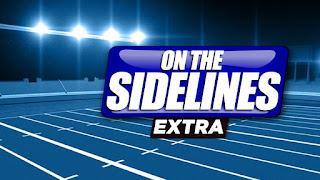 THE FINAL WORD: Join Marc Davis for "On The Sidelines" only on NBC12 live at 11:15, then at 11:35, go to the NBC12 Facebook page for "On The Sidelines Extra", as Marc and Rob review the night's action and take your high school football questions live! The Game of The Week is also brought to you by Luck Chevrolet, sponsors of our In-Game Scoreboard, Ferber's Tire and Auto and by Lipscombe Appliance! 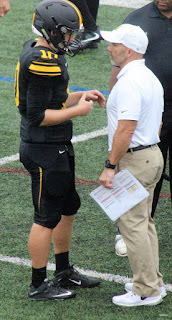 Randolph-Macon earns respect from the Old Dominion Athletic Conference's coaches, finishing in a tie for first place with defending league champion Washington And Lee in the 2018 Preseason ODAC Poll released Monday by the conference office. The Yellow Jackets and Generals finished with 44 points each, with Hampden-Sydney and ODAC newcomer Ferrum each garnering one first place vote to place third and fourth in the poll respectively. Randolph-Macon begins the 2018 season a week from Thursday night in Baltimore at Johns Hopkins. You can hear the game live on 102.9 The Mater (102.9 FM/1430 AM) beginning at 6:40pm with Marty Wilson and Rob Witham. Meanwhile, Lee-Davis is the lone county entrant in the 2018 Preseason NBC12/RVA Sports Network Big 12 High School Football Poll, released tonight in a radio exclusive on 102.9 The Mater. See the entire poll HERE, and be sure to join NBC12 Sports Director Marc Davis and Rob Witham this Wednesday at 3:15 live on Facebook for the premiere of the "On The Sidelines Wednesday Playbook", where Marc and Rob will break down the poll and preview all the Week One action, including the season premiere of the Game of The Week when Hanover goes to Monacan Friday at 7pm exclusively on 102.9 The Mater, and online here at this website! In The Red Zone Live! 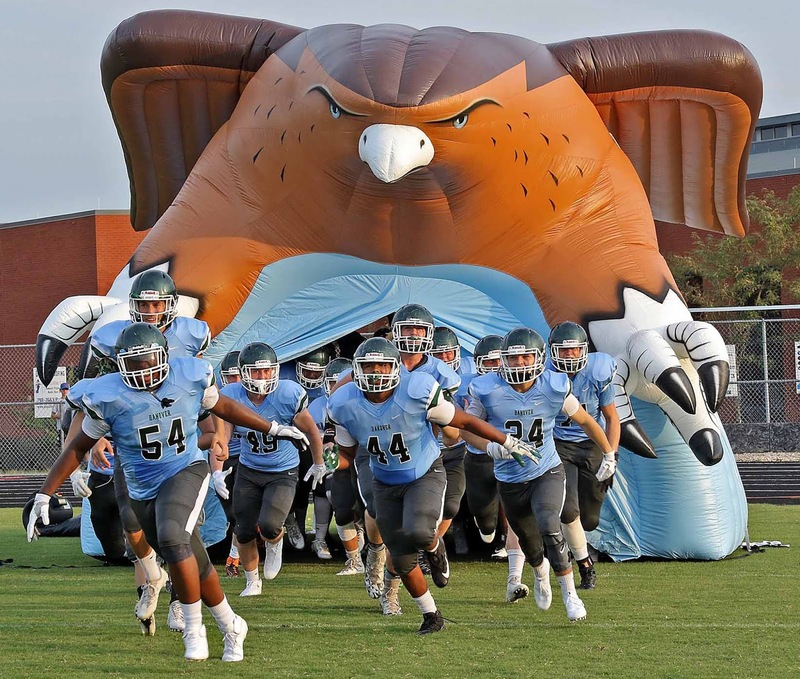 CLICK HERE to listen to "In The Red Zone", as host Rob Witham talks live with Patrick Henry head coach Abbey Rossman, interviews Atlee football coach Matt Gray and talks the latest sports news including Rockville and Glen Allen baseball's Cal Ripken World Series appearances! Listen on radio on 102.9 FM, The Mater in Hanover and the RVA. 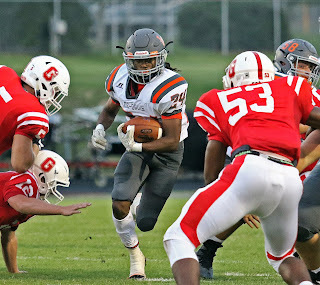 As announced first exclusively Monday night on the debut of "In The Red Zone" on 102.9 The Mater, WHAN Radio, here is the projected broadcast schedule for the 17th season of the High School Football Game of The Week, which premieres on Friday August 24th when Hanover opens the season at Monacan in a Region 4B battle. All Game of The Week broadcasts will begin with the "On The Sidelines Pre-Game", airing 30 minutes before kickoff, on 102.9 FM, 1430 AM, online on the @TuneIn Radio App on "Radiall" and at links available both on this website and at RVASportsNetwork.com. Marc Davis of NBC12 joins Rob Witham each week with the most in-depth preview of high school football action in the area, only on the "Game of The Week" 30 minutes prior to kickoff! This season, it is also the return of Collegiate Cougars football on 102.9 The Mater (102.9 FM/1430 AM) beginning September 7th. We'll have live doubleheaders throughout the season, an exclusive to WHAN Radio and The RVA Sports Network! 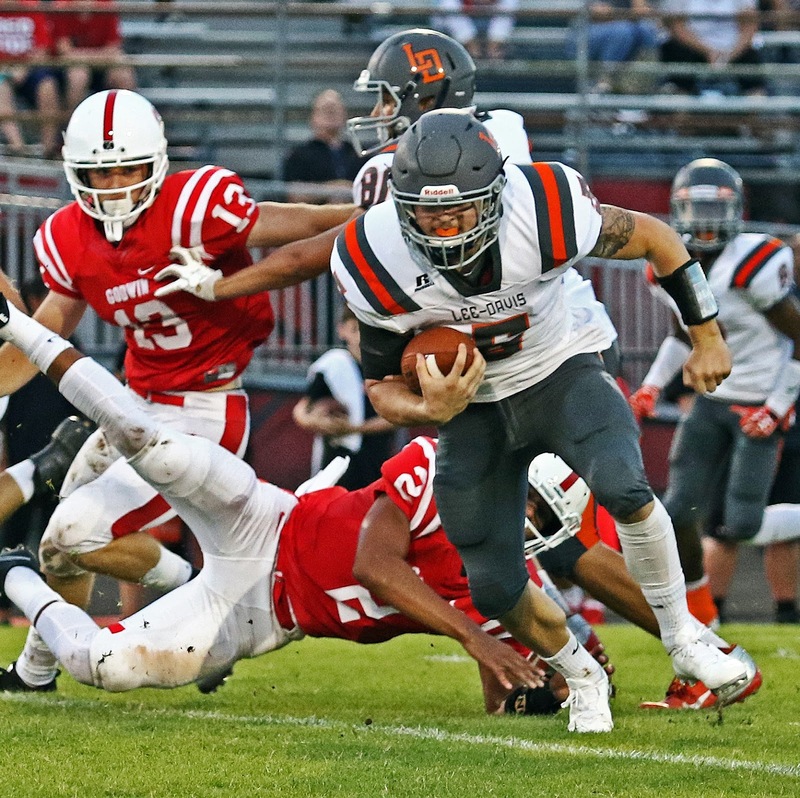 The 60th Tomato Bowl: Lee-Davis at Patrick Henry, special 6pm airtime with one-hour pre-game show featuring "History Of The Tomato Bowl"
Coverage of the 2018 playoffs will begin on Friday, November 9. 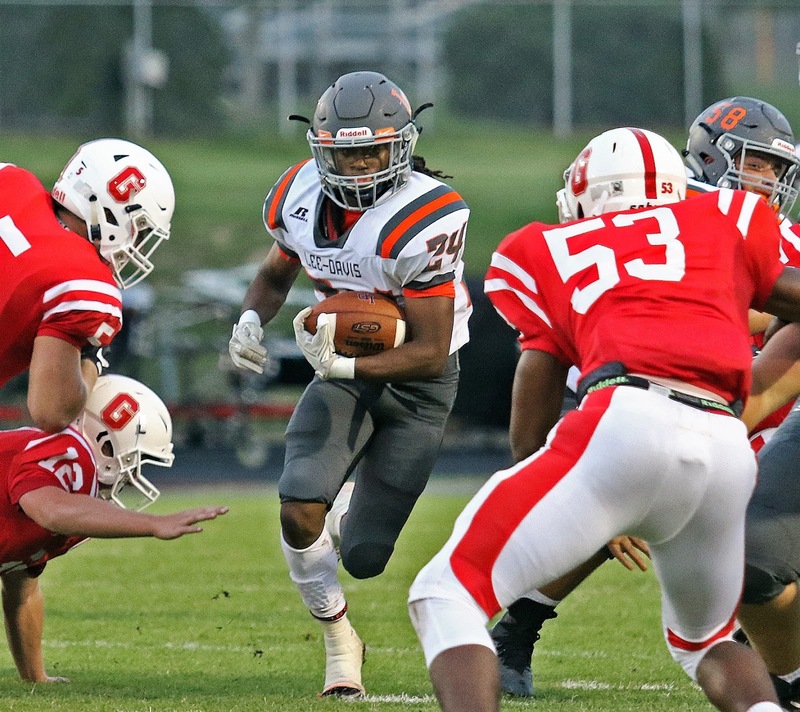 102.9 The Mater and RVA Sports Network reserve the right to flex to a different game with higher playoff implications beginning October 5th on "Game of The Week" primetime series.